English Premier League. Kick-off: 3pm, Saturday 8th December. ONCE you get into a tailspin in the English Premier League it's hard to avoid a crash and Burnley are in danger of suffering that fate. The team that caused so many upsets last season, earning a Europa League slot, just haven't managed to get going this term and their current form screams of relegation. Boss Sean Dyche has tried his best to remain upbeat, highlighting the positives in the wake of each passing defeat, the latest coming at home to Liverpool on Wednesday. But he has paid a heavy price for being too loyal to the players who did so well for him last season, bringing in only three fresh faces in the summer to bolster the squad. Just one of them, keeper Joe Hart, started in the clash with Liverpool as Matej Vydra had to settle for a place on the bench and Ben Gibson sat injured on the sidelines. Once a team starts to stagnate it's hard to find that spark and Brighton, who are 33/20 with 888 Sport, will head north with high hopes of a victory. Having followed up a 2-1 win at Huddersfield with an impressive 3-1 home victory over Crystal Palace, the Seagulls look good value for another triumph. This could be a tight one so I'd be inclined to bet under 2.5 goals which is sadly just 8/15 with 888 Sport. 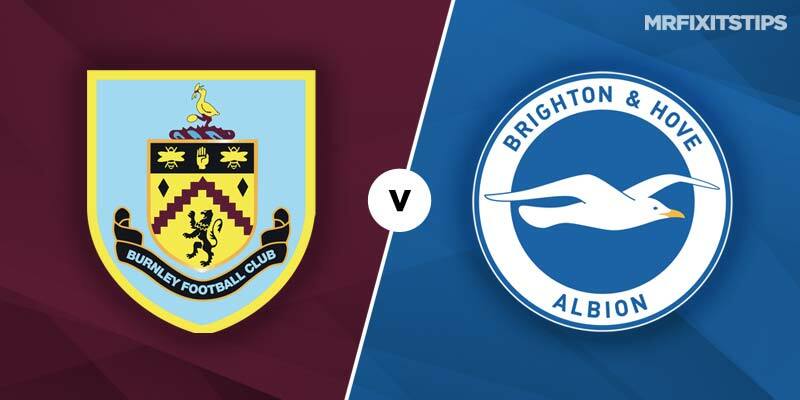 Romanian Florin Andone has made a big impact in recent games, scoring in both those Brighton victories, and it looks like he will ease the goalscoring burden on Glenn Murray. Andone is 23/5 with 888 Sport to break the deadlock here and 43/20 for anytime scorer which looks a good option after Murray was injured in the win over Palace. Burnley need to get back to basics if they're to arrest their slide and have to find a way to get the best out of striker Chris Wood. The Kiwi has drawn a blank in his last three games but still looks Burnley's best bet for a priceless goal. Wood is 5/1 for first scorer at 888 Sport and 12/5 for a goal at any time in the 90 minutes. Wouldn’t argue with any of the 3 recommended bets above, Brighton in fantastic form, well organised, great worth ethic and similarly reminiscent on how my side performed for much of last season.